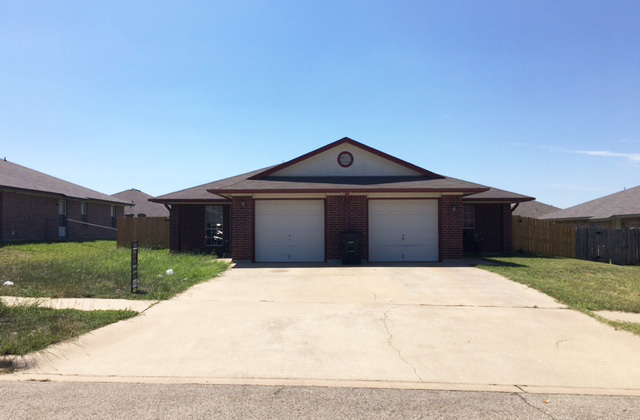 Another Home Sold by Premiere Team Real Estate - Great investment opportunity in Killeen Texas * 75% brick one story duplex * Each side has a 3 bedroom - 2 bath - 1 car garage plan, approximately 1150 sqft. * Just remodeled unit A and is ready for move-in * Recent updates include fresh two-tone paint and new carpet * New Stainless Steel stove and venthood * New ceiling fans * New wood privacy fence * Ceramic tile in entry, kitchen, dining and both bathrooms * Indoor utility area with cabinets between garage and kitchen * Tile backsplash * Refrigerator * Walk-in closet and garden tub in Master * New mini-blinds * One car garage * Very convenient to Fort Hood, Walmart and brand new HEB grocery superstore! Unit B is currently leased out for $750 and was partially remodeled in March 2017. Another great home for sale in Roberts Addition, Killeen, Texas.